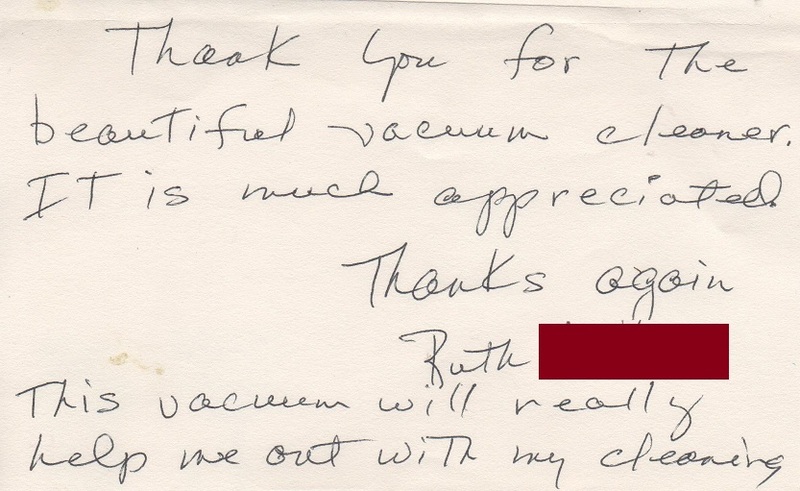 Thank you for the beautiful vacuum cleaner. This entry was posted in Testimonials by eldercare. Bookmark the permalink.